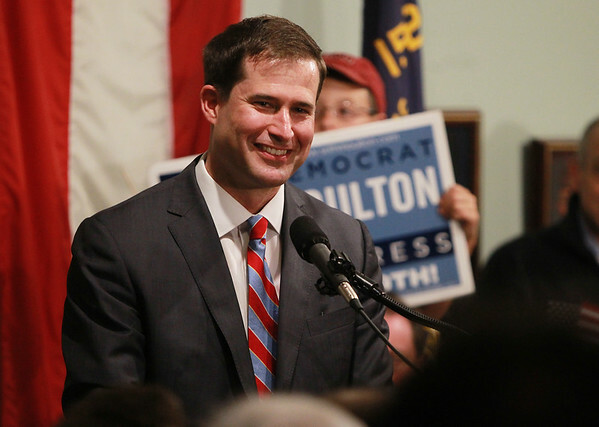 Seth Moulton flashes a wide smile after winning the primary election for the sixth district congress seat over incumbent John Tierney. DAVID LE/Staff photo. 9/9/14.